On Thursday of last week, a federal court in New York City tossed an Order of Civil Authority (OCA) claim by a New York City law firm in Bamundo, Zwal & Schermerhorn, LLP v. Sentinel Ins. Co., 2015 WL 1408873, 2015 U.S. Dist. LEXIS 39409 (S.D.N.Y., Mar. 26, 2016). The policy extended coverage to loss of business income caused by an OCA issued “as the result of a Covered Cause of Loss,” but it excluded flooding from the definition of that term. The insured was a law firm with offices on John Street in lower Manhattan. On October 28, 2012, the Mayor of New York City issued an executive order evacuating all homes and business located in the area. Superstorm Sandy made landfall the next day, and parts of lower Manhattan – though not the area around the policyholder’s offices – quickly experienced “never-before-seen flood levels.” On October 31st, a second executive order continued the evacuation and directed that buildings could only be reoccupied after being inspected and declared safe; 14 more orders were subsequently issued extending those restrictions. The law firm’s offices were ultimately declared available for occupancy on Christmas Eve, and the policyholder moved back in on January 4, 2013.
the actual loss of Business Income you sustain when access to your scheduled premises is specifically prohibited by order of a civil authority as the direct result of a Covered Cause of Loss to property in the immediate area of your scheduled premises. This extension of coverage was subject to a 72-hour waiting period deductible and limited to a period of 30 consecutive days. In addition, the contract of insurance excluded loss caused by water, including flooding, from the definition of what constituted a covered cause of loss. The insured made claim for loss of business income for the entire evacuation period (October 30th through January 4th), and it filed suit for breach of contract and bad faith after the insurer denied. The only issue is whether that order of the civil authority was “the direct result of a Covered Cause of Loss to property in the immediate area” of Plaintiff’s office. The answer to this question for the October 31 order and all subsequent evacuation orders is clearly “no,” for the simple reason that “Covered Cause of Loss” is defined in the Policy to exclude loss due to flooding. Put simply, because the evacuation orders were the direct result of flooding in Zone A, they were, by definition, not the direct result of a “Covered Cause of Loss to property in the immediate area,” since Plaintiff’s policy expressly excluded flooding from the definition of a Covered Cause of Loss. The court reached a different result with respect to the initial executive order of October 28th, noting that the Mayor’s first order “was a preemptive evacuation based not on flooding but on the risk of future flood damage and power outages.” Judge Sullivan held that the flood exclusion would not operate to preclude OCA coverage for that. 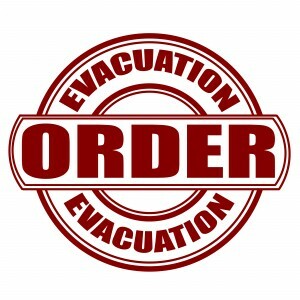 Any claim for the first three days of the evacuation was defeated, however, by the contract of insurance’s 72-hour waiting period deductible. In addition, the court tossed the law firm’s bad faith claims because New York law does not recognize a separate cause of action for breach of the implied covenant of good faith and fair dealing when a breach of contract claim based on the same facts is also pled.